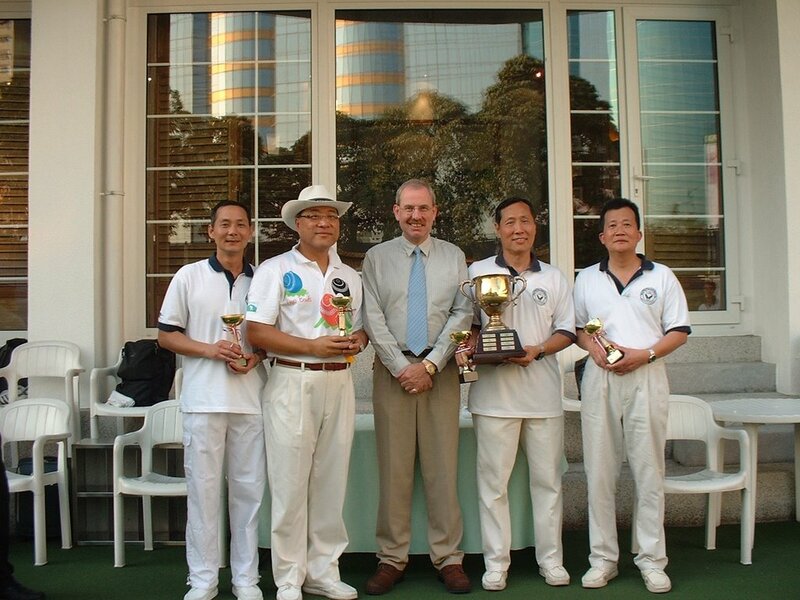 Police Lawn Bowls was founded in 1905. The Club has two lawn bowls greens, one at Police Officers' Club in Causeway Bay and one at Boundary Street Police Sports and Recreation Club. There are about 90 members in the club and currently there are three Men's Premier League Teams (12 players per team) and four Ladies Premier League Teams (four players per team). Practice nights are Tuesdays at POC and Thursdays at PSRC. League matches are on Saturday afternoons. The mighty Marine Team storm home by one point.